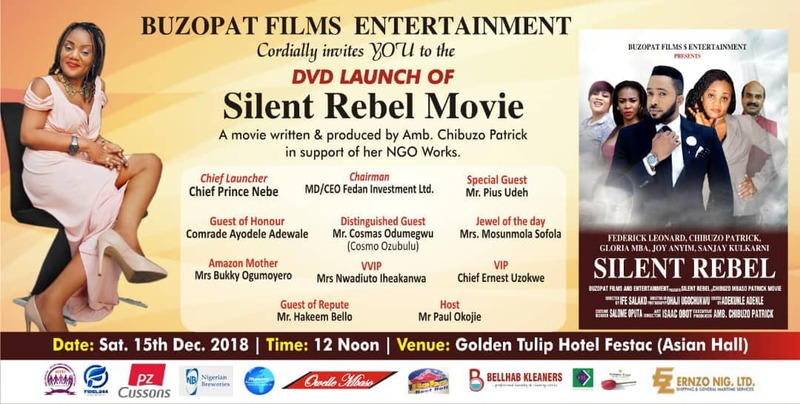 'Silent Rebel' an advocacy and thought provoking movie featuring Frederick Leonard, Gloria Mba, Joy Anyim, Sanjay Kulkarni, Jawani, Mc Prof and Ambassador Chibuzo Mbaso Patrick aka Buzopat is set for its DVD official release. Directed by Ifektive Salako and produced by Buzopat on the stable of Buzopat Films Entertainment, the yelutide event will hold at the Asian Hall of the Golden Tulip Hotel, Festac on Saturday, 15th December, 2018 at 12pm. 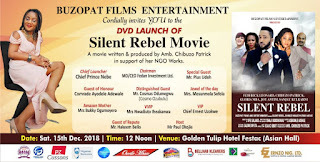 A unique and exceptional movie in many ways, 'Silent Rebel' an advocacy movie, is comfortable for all ages and a must have for every family because, It is educative, informative, corrective and absolutely entertaining. Buzopat, who is also an amazon of Public Relations and a great philanthropist have been gearing all her efforts towards uplifting the down trodden, the oppressed, the despised and the disadvantaged in all categories with her Meljenstin Youth Empowerment NGO. 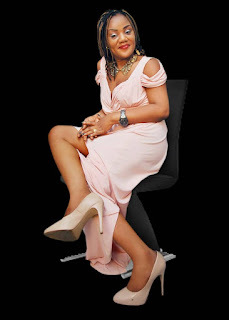 This movie is also one of her numerous efforts at empowering the family and the society at large. 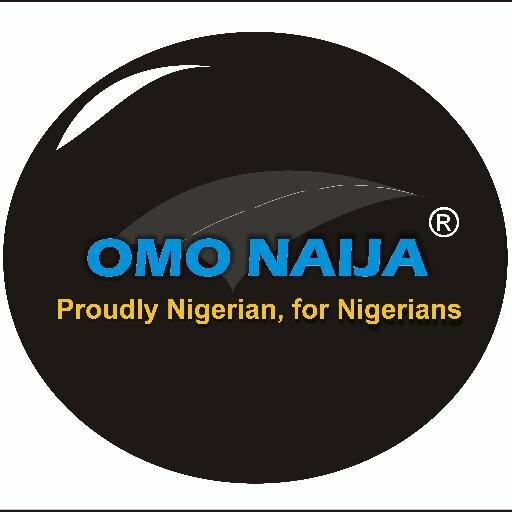 Its a must watch for every homes.